The Puyehue-Cordon-Caulle volcano range in southern Chile erupted Saturday 5th June, throwing ash more than 6 miles (10 km) into the sky, causing widespread disruption. Volcanoes erupting are never a good sign, but when you couple the subsequent ash clouds with lightning, you have both a recipe for disaster, and some truly impressive photographs. I for one have never imagined lightning mixing with ash clouds, but the photographs shown here and here give that view clearly. They are astounding, frightening, powerful, elemental, and spectacular. These are some of the best photos I have ever seen, once again confirming the power and beauty found in nature. 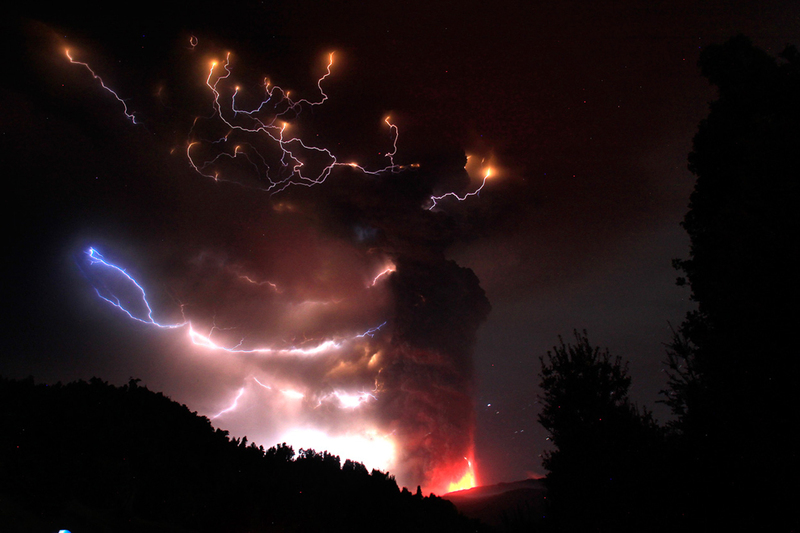 This entry was posted in News, Science and tagged ash, BBC, Chile, Daily Mail, lightning, photography, Puyehue-Cordon-Caulle, The Atlantic, volcano. Bookmark the permalink.